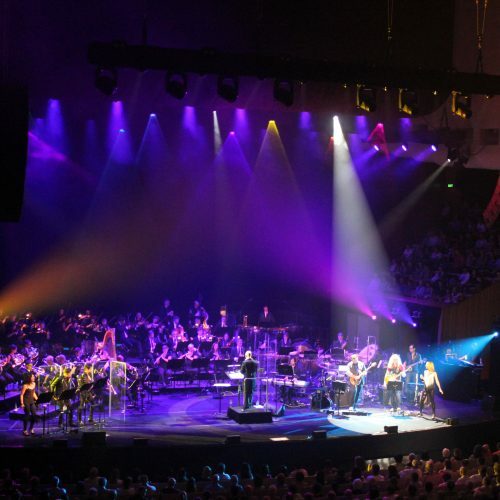 The Music of Queen is a rock and symphonic spectacular celebrating the greatest hits of Queen and featuring Australian and International stars, rock band and symphony orchestra! Featuring I Want it All, It’s a Kind of Magic, We Are The Champions, Bohemian Rhapsody and many more. 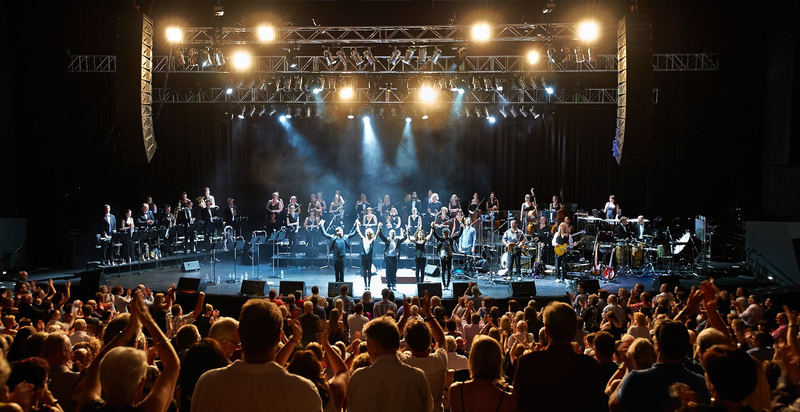 Experience the unforgettable magic of Queen, featuring international We Will Rock You alumni, MiG Ayesa (West End/Asia), Michael Falzon (Australia/UK), Amanda Harrison (Australia/West End) and Carly Thomas Smith (USA). 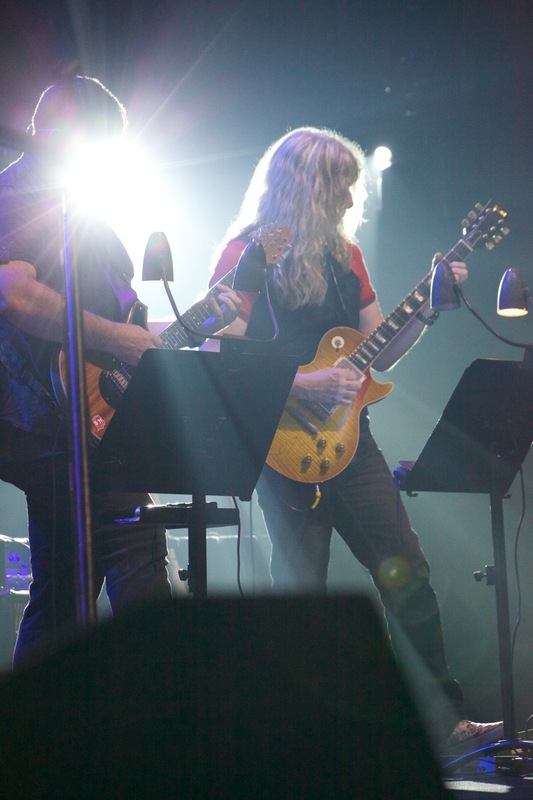 Don’t miss the harmonies, hits, and nostalgia of one of the world’s most iconic rock bands! Tickets from $59.90 plus booking fee. MiG hails from Australia (born in the Philippines) where he played ‘Ritchie Valens’ in BUDDY. He was then chosen to join the London cast including a ROYAL VARIETY PERFORMANCE for Her Majesty, Queen Elizabeth II. 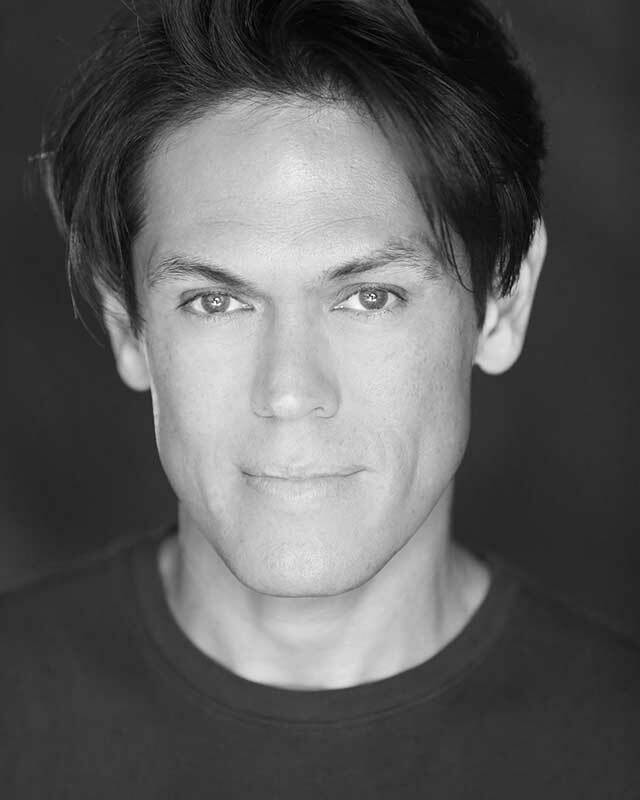 MiG’s other West End credits include ‘Galileo’ in WE WILL ROCK YOU, ‘Angel’ in RENT, and he has toured the UK with THRILLER: LIVE! Back in Australia, he played ‘Danny Zuko’ in GREASE and in GREASE – THE MEGA MUSICAL, ‘Dandini’ in CINDERELLA, ‘Aladdin’ in ALADDIN, ‘Tony’ in WEST SIDE STORY, toured Australia and Asia with THE MUSIC OF ANDREW LLOYD WEBBER, played ‘Sonny’ in GREASE – THE ARENA SPECTACULAR, ‘Angel’ in RENT, and ‘Joe Vegas’ in the Australian and Asian Tour of FAME. MiG starred as ‘Joe King’ in the AFI Award winning TV series THE FERALS. His other TV credits include MISSION TOP SECRET, HITS AND MEMORIES, THE MIDDAY SHOW, IMT, MONDAY TO FRIDAY, CAROLS IN THE DOMAIN, IT’S ABOUT TIME, CAROLS BY CANDLELIGHT, PEOPLE’S CHOICE AWARDS, VIDIOT, GOOD MORNING AUSTRALIA and HEY HEY IT’S SATURDAY as well as various commercials including a series of ads for JEANSWEST and a global campaign for RAY BAN. 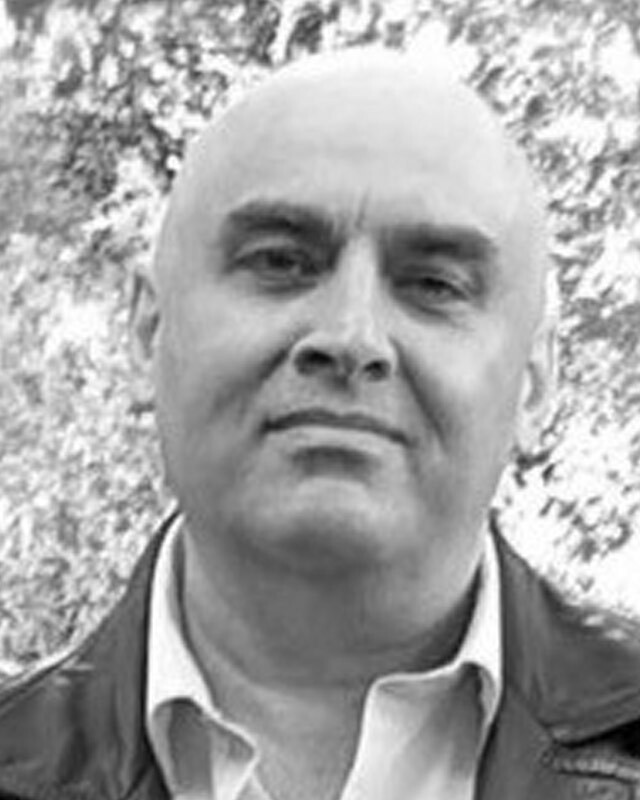 MiG’s film credits include playing a Brooklyn Vampire in QUEEN OF THE DAMNED and a latex-covered serial killer in SUBTERANO. In 2005, MiG finished 3rd in a world-wide search to replace INXS front-man Michael Hutchence in the hit TV show ROCKSTAR:INXS, and has released his self-titled debut CD, ‘MiG’, through Decca/Universal Records, which includes a full symphonic cover of QUEEN’s ‘Who Wants To Live Forever’. MiG toured in the World Arena Tour of WE WILL ROCK YOU, performing throughout Europe and the UK incluing Finland, Denmark, Netherlands, Luxembourg, Czech Republic, Turkey, Bulgaria, Croatia as well as the International Tour of WE WILL ROCK YOU playing inn Auckland, Seoul, Singapore, Hong Kong and Bangkok. 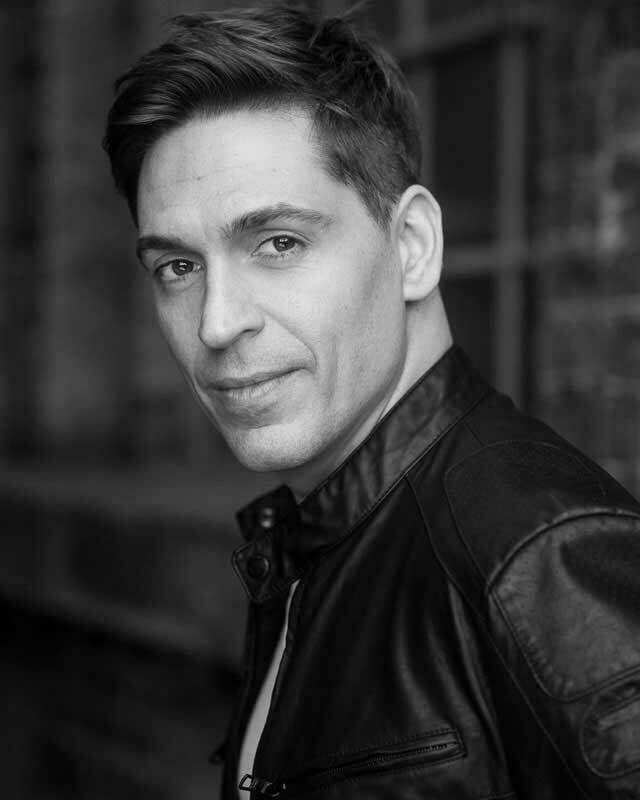 MiG has also starred in the West End production of Thriller Live and has also toured with this production through the UK, Australia, New Zealand and Malaysia. For more please visit MiG at www.mig-music.com. 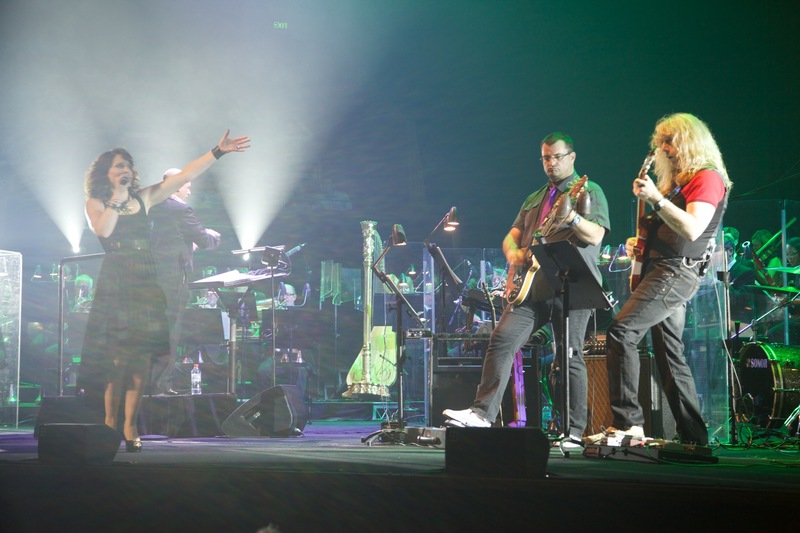 Well-known to theatre and concert audiences, Falzon’s break-through came as ‘Galileo’ in the original Australian production of We Will Rock You. 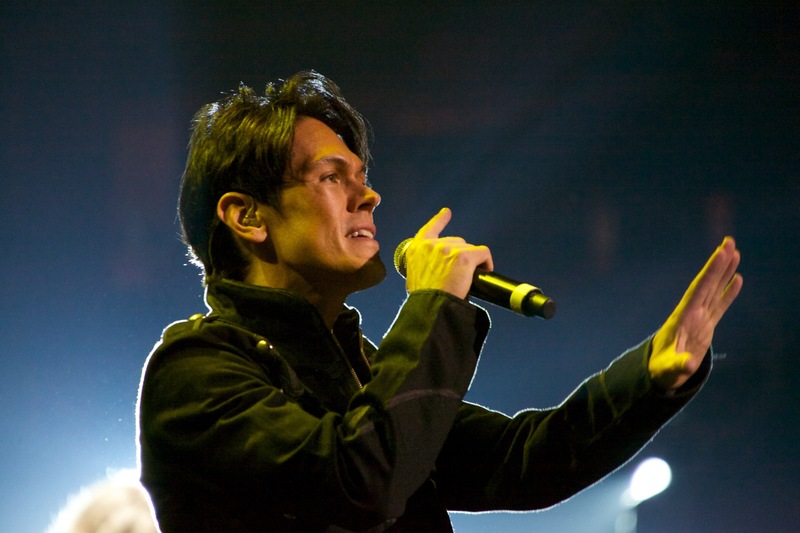 Enjoying critical acclaim, he was invited to reprise the lead role in Japan, further shattering box office records in the first UK tour playing the show’s first-ever arena. 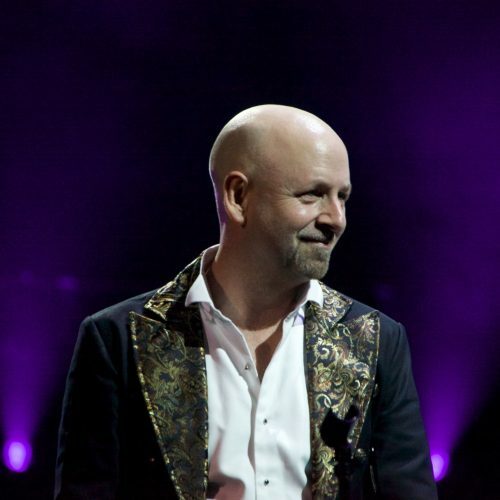 His diverse credits since include The Wharf Revue for STC; Australia, NZ, UK and European arena tours of Jeff Wayne’s The War of the Worlds; the titular role in Hedwig and the Angry Inch; ‘Stacee Jaxx’ in the award-winning Rock of Ages and ‘The Arbiter’ in Chess. 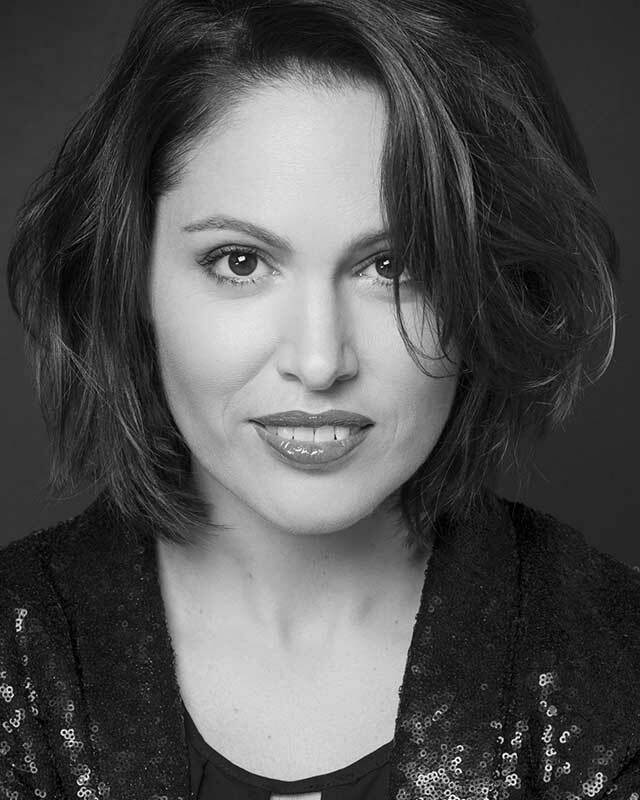 Having played many of the great roles in contemporary musical theatre, Harrison is perhaps most well-known for originating the role of ‘Elphaba’ in the Australian production of Wicked, Harrison made her professional debut as a teenager playing ‘Jenny’ in Aspects of Love. 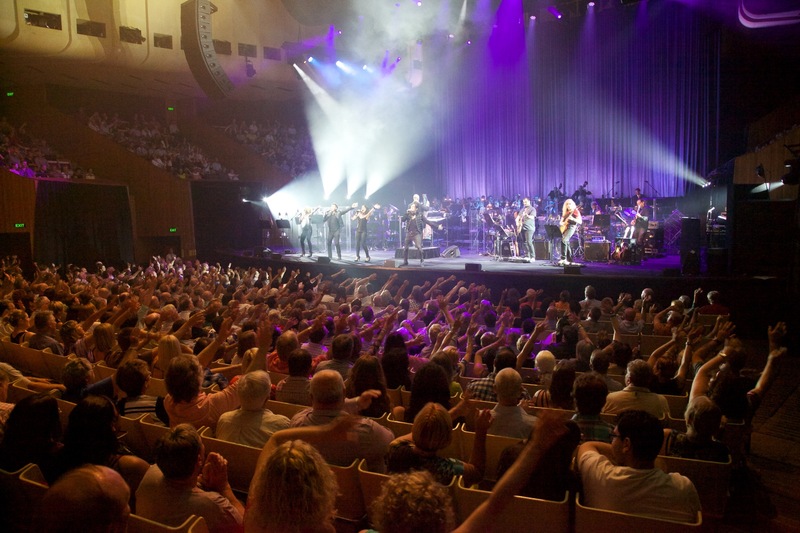 Other Australian theatrical credits include ‘Betty’ in Sunset Boulevard; Les Miserables; ‘Ellen’ in Miss Saigon; ‘Liza’ in The Boy From Oz; ‘Ellie’ in Leader Of The Pack and her Helpmann Award- winning portrayal of ‘Oz’ in We Will Rock You. In 2012, Amanda created the role of ‘Paula’ in the world premiere of An Officer And A Gentleman. 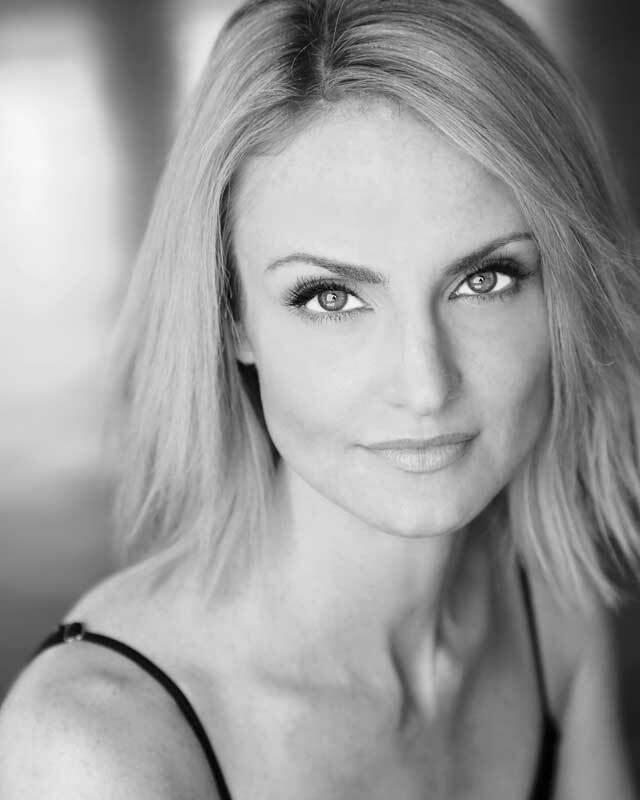 For The Production Company, Amanda has appeared in Mame; She Loves Me; Guys And Dolls; Oklahoma! and most recently as ‘Reno Sweeney’ in Anything Goes. Carly’s first big gig came when she was cast in the Pulitzer Prize, Tony Award-winning Broadway musical RENT. Since then, when We Will Rock You staged it’s first American production, Carly was handpicked by Queen’s Brian May & Roger Taylor for the role of ‘Oz’. 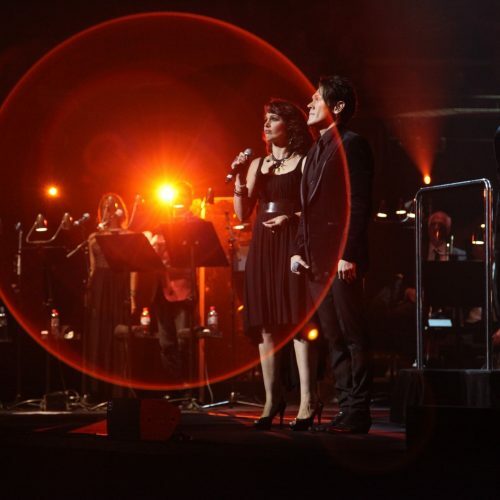 She went on to play the role of ‘Lorraine’ in the Las Vegas production of Jersey Boys and more recently, in the Pasadena Playhouse’s production of Smokey Joe’s Café. 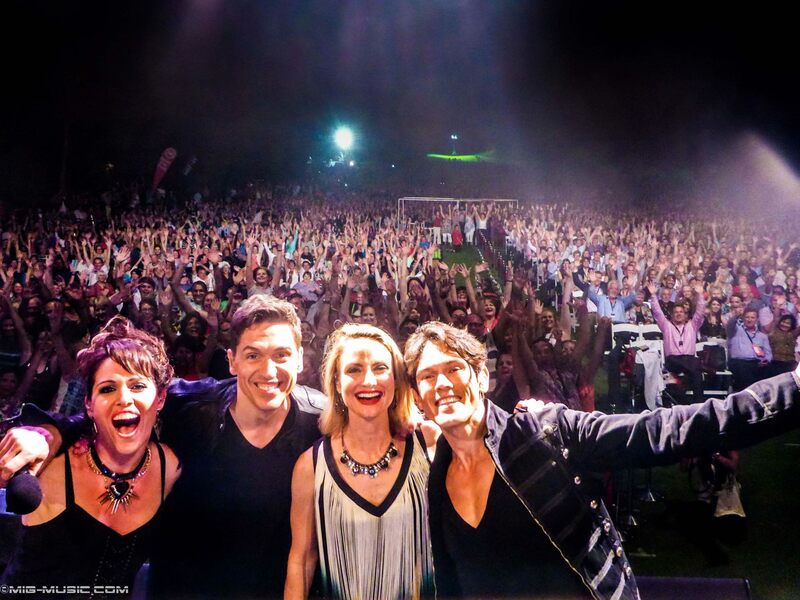 Carly has fronted bands of all kinds, from small jazz ensembles to the all-female world music group Angaza. 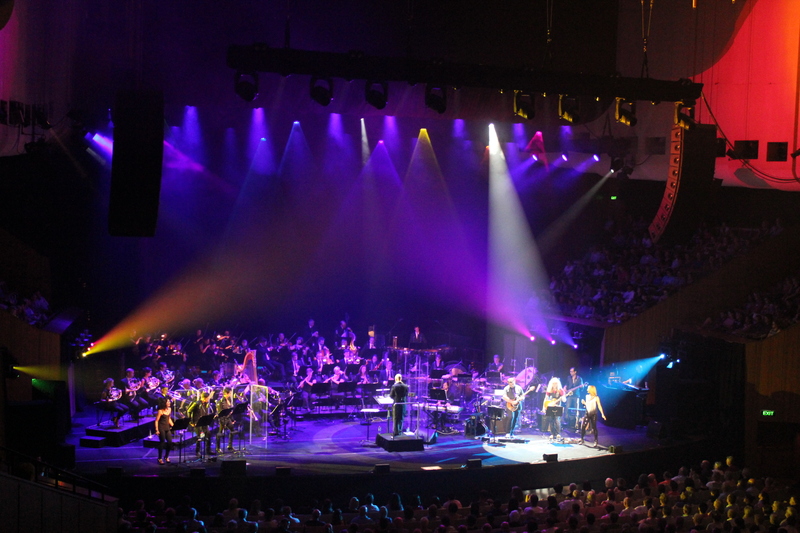 In concert, she has fond memories of her debut at Sydney Opera House as a soloist with SSO and The Music of Queen – A Rock and Symphonic Spectacular. 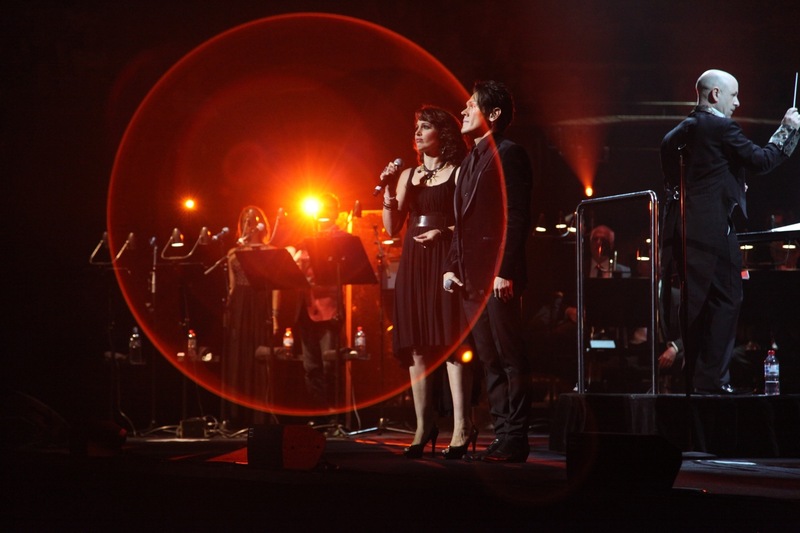 She has also taken the stage with Perth and Richmond symphony orchestras, getting back to her jazz roots, singing too with Columbus Jazz Orchestra as a guest artist for their concert series A Night at the Movies. Her voice can be heard too in many films, most notably the Kevin Hart feature, Ride Or Die with the song ‘In Time’, which she co-wrote. 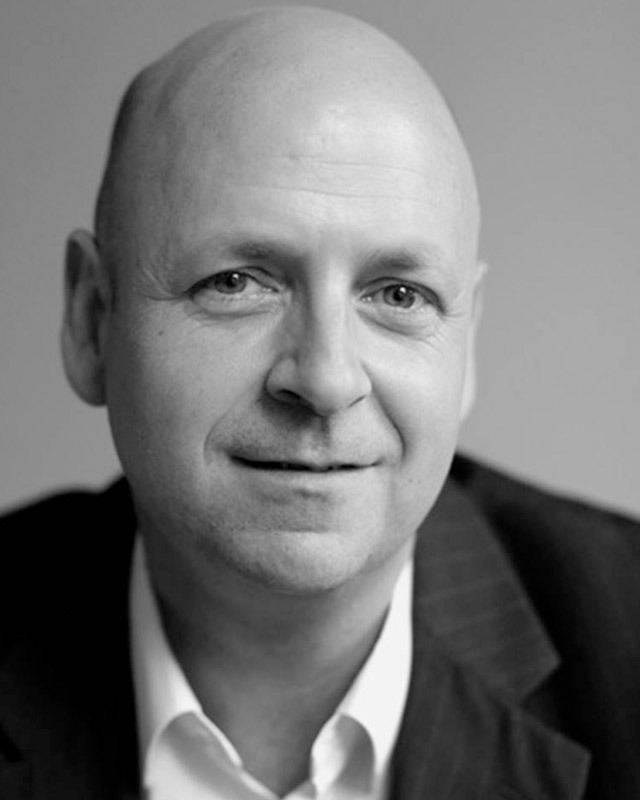 Richard was born and still lives in London where he studied at The London College of Music graduating in 1987 with a BA(Hons). As a trumpet player he has enjoyed touring the world, recording and gigging with many artists including Blur, The Stranglers, Robbie Williams, Duran Duran, Brian May & Roger Taylor, The Pet Shop Boys, Sir Tom Jones, Boy George, Sir Bob Geldof, Gary Barlow, Nancy Wilson, Buddy Greco, Shirley Bassey, Peggy Lee and Herbert Gronemeyer. In addition, he has worked in many West End theatres, and performed on various TV & radio shows & has headlined at all the major festivals in Europe including Glastonbury, Roskilde, Benicassim & T In The Park. 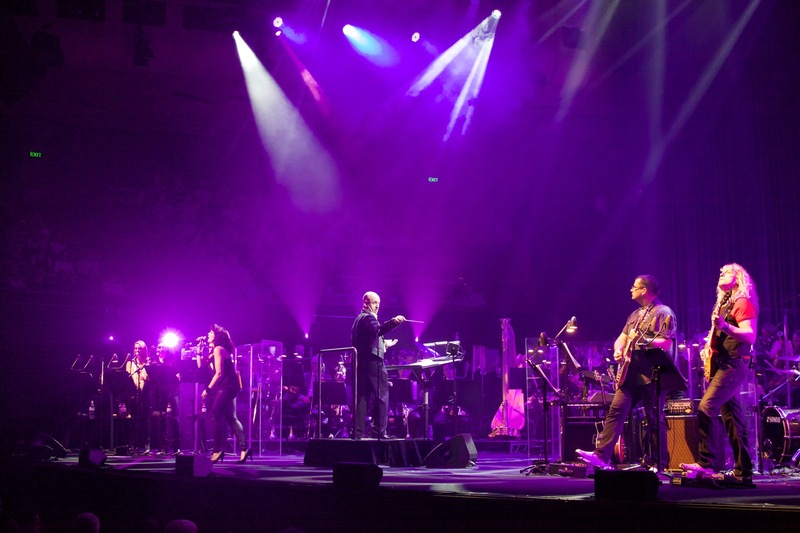 Richard now spends most of his musical life arranging and orchestrating, from wind & string trios through to jazz big bands, right up to full symphony orchestras. 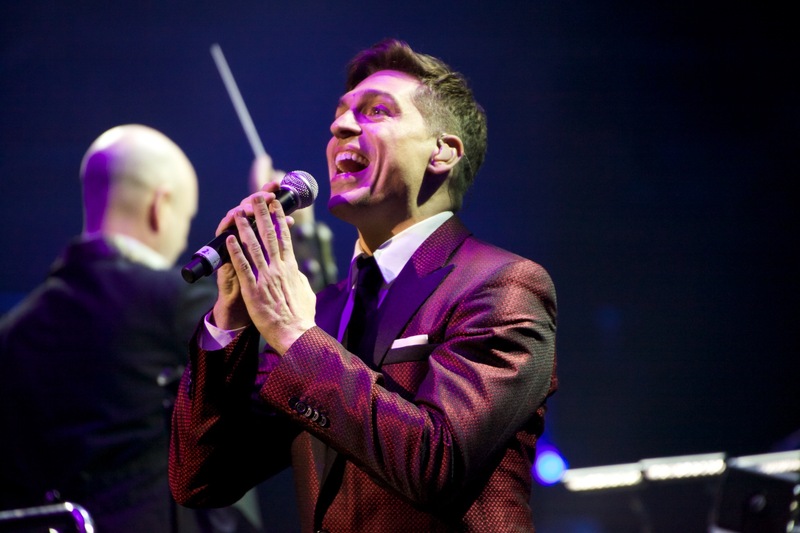 In this capacity he has worked for opera star Katherine Jenkins, McBusted, Robbie Williams, Take That, Jamie Cullum, Shirley Bassey, Russell Watson, Beverly Knight, Gregory Porter, Will Young, Scott Walker, Emma Bunton, Sarah Brightman, Kerry Ellis, The BBC Concert Orchestra, The BBC Big Band and The Pussycat Dolls, as well as various TV shows including The Voice UK(Series 1-3), The Royal Variety Performance, X-Factor, Children in Need, Soapstar Superstar and Star For A Night. 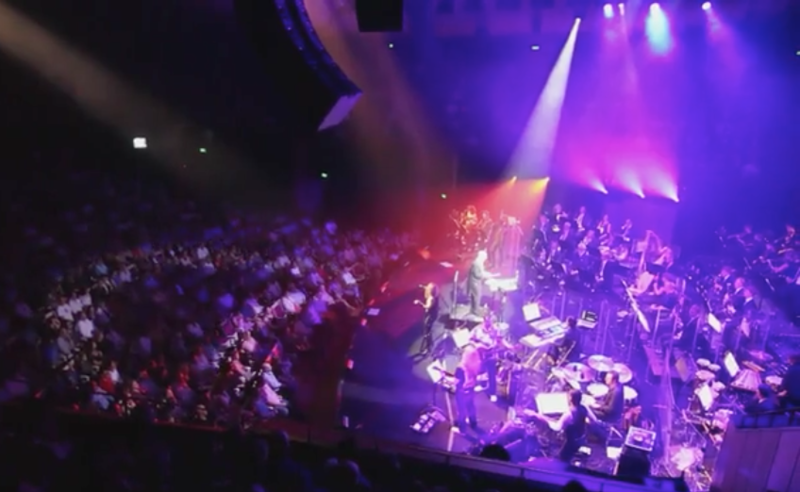 In November 2009 Richard conducted The Bangkok Symphony Orchestra in a concert of Disney music at The National Cultural Centre and in 2014, an orchestra for the legendary Jacksons in Dubai. That year also saw Richard collaborate & arrange for Swing On This, the smash hit Australian swing show. 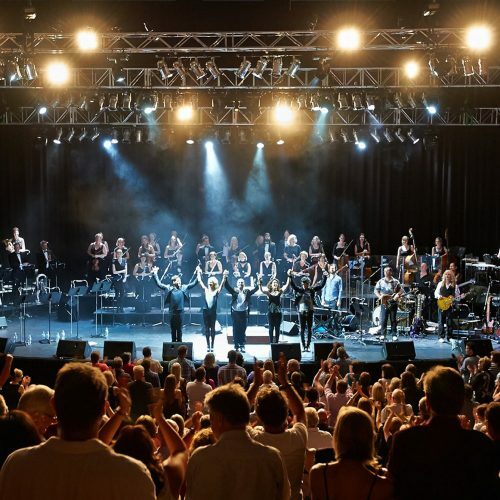 In 2007 The Bournemouth Symphony Orchestra invited Richard to arrange a concert of Queen music featuring 4 singers from We Will Rock You London along with rock band and full symphony Orchestra. 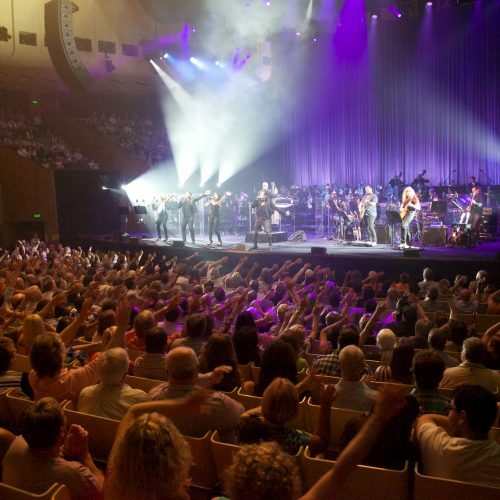 He has since performed this concert with orchestras all around the world including The Halle and City of Birmingham SO in the UK, The Colorado SO at Red Rocks, The Atlanta SO & The Richmond SO in the USA, The Unite Arab Emirates NSO in Dubai, and in 2014 conducted 3 sell out shows at The Sydney Opera House with The Sydney SO and The Perth SO on the West Coast. 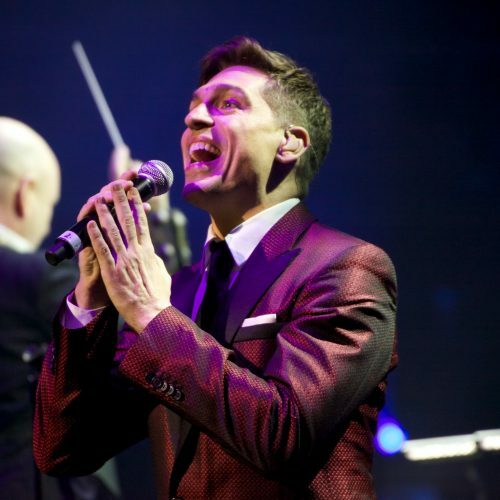 Richard is delighted to present that concert to you tonight, conducting his arrangements of some of Queens biggest hits, supported by 4 amazing international singers from the Queen musical ‘We Will Rock You’, along with the finest & most rocking of rhythm sections, and of course, this most amazing Symphony Orchestra. He hopes you enjoy the show. 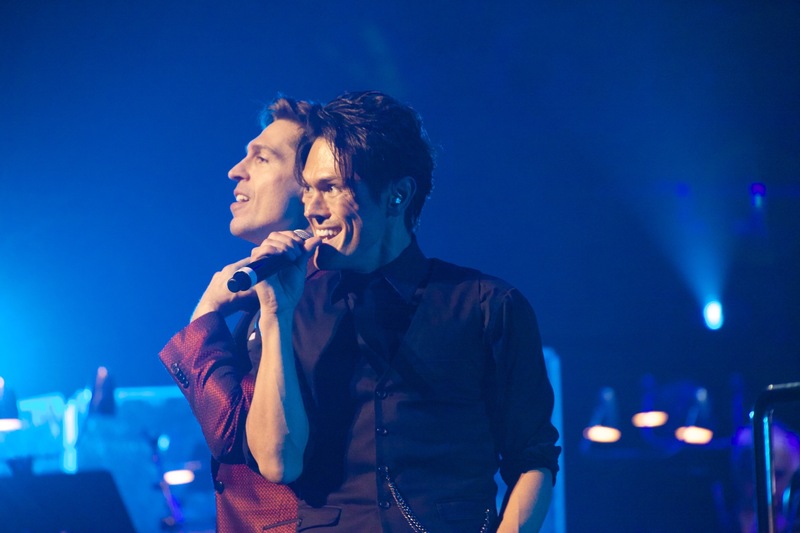 James spent his childhood years learning classical piano before dabbling in drums and bass in his teens, finally settling on his preferred instrument of guitar. 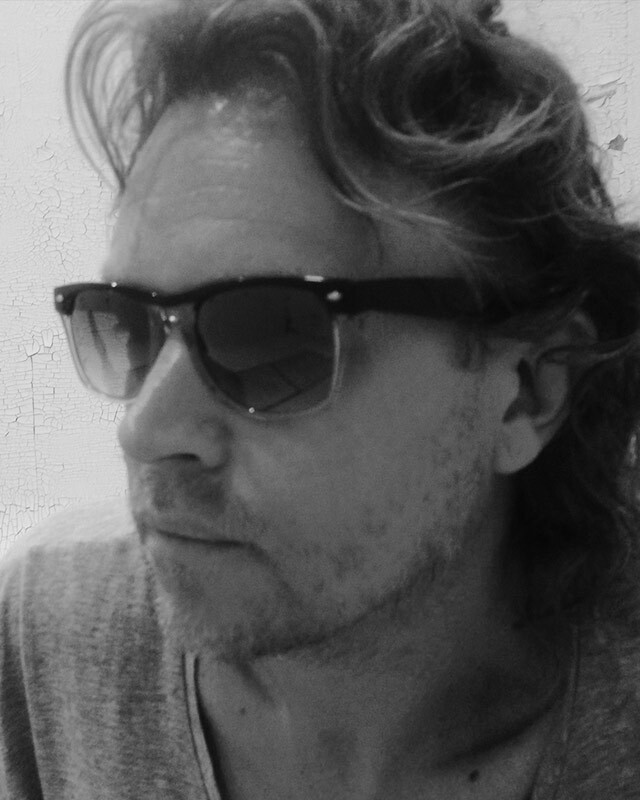 As a guitarist, James has played live music in pubs and clubs in original and covers bands, as well as session and studio work, throughout Australia. A lifelong love and passion for Queen’s music provided James the opportunity to join the Australian production of the musical We Will Rock You as an original band member in 2003, after a successful audition process before Brian May and Roger Taylor of Queen. Since then, James has been a part of the following We Will Rock You tours: Australia 2003-05; Japan 2005; Japan 2006-07; UK and Ireland 2009-10; UK and Denmark 2010-12; 10th Anniversary European Arena Tour 2013 and Australia 2016. 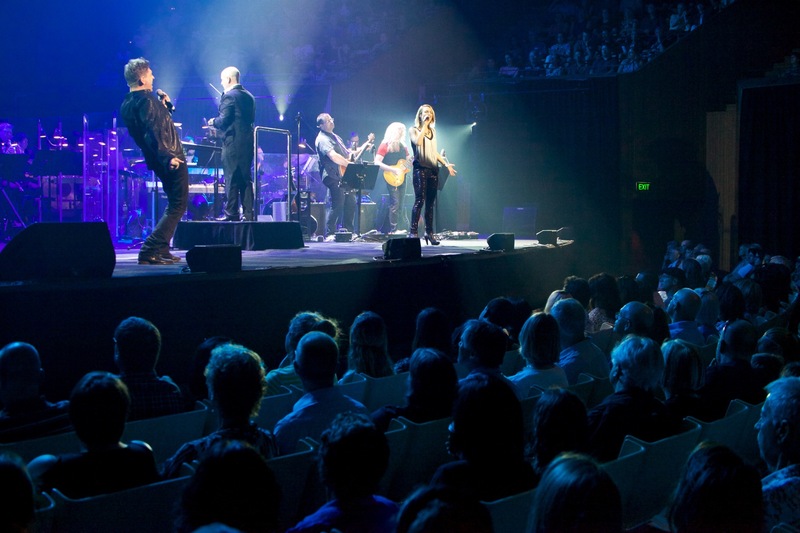 2014 saw James team up for the first time with The Music of Queen – A Rock and Symphonic Spectacular for shows at the Sydney Opera House and in Western Australia. 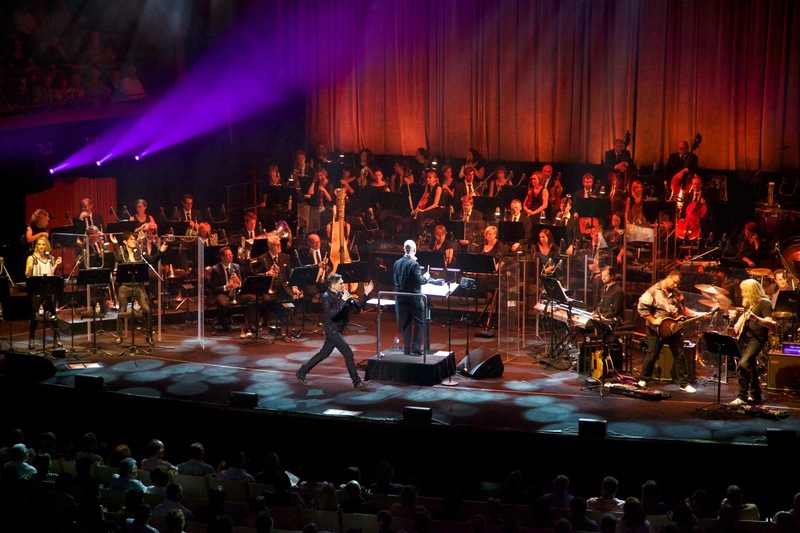 These concerts combined the power of a symphony orchestra with a five-piece rock band and four vocalists to perform Queen’s classic songs live on stage. 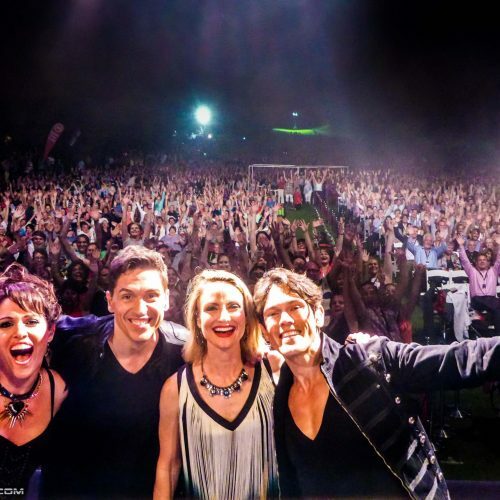 Mark Costa is an electric bassist, music arranger and composer based in Sydney. 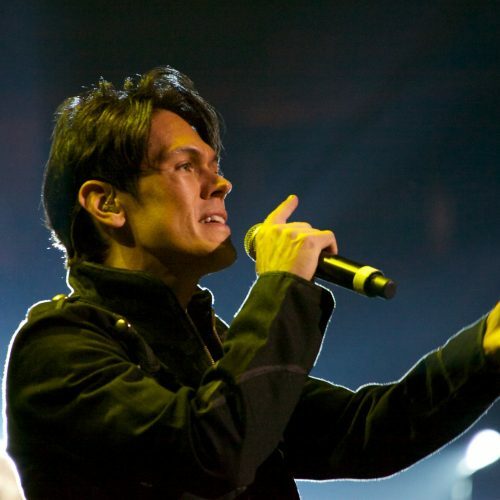 Mark has performed and toured with numerous international and local artists including The Temptations, Tom Jones, Thelma Houston, Leo Sayer, Debbie Reynolds, Go West, David Hasselhoff, Chris Isaak, Shannon Noll, Guy Sebastian, Marcia Hines, Margaret Urlich, James Morrison, Emma Pask, John Foreman and the 2012 Long Way To The Top Australian tour. 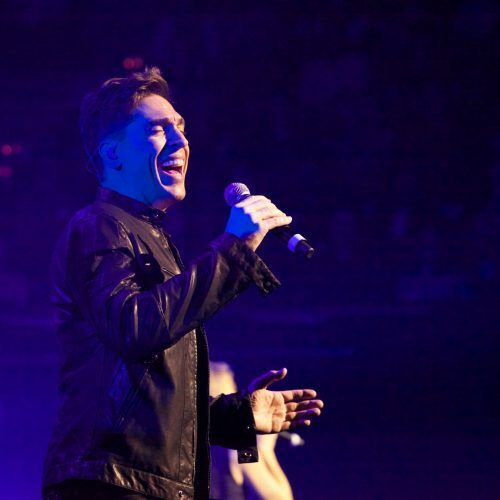 As a session musician, Mark can be heard on countless recordings and jingles including The Prayer by Anthony Callea, which won the Highest Selling Single Award at the 2005 ARIA Awards. 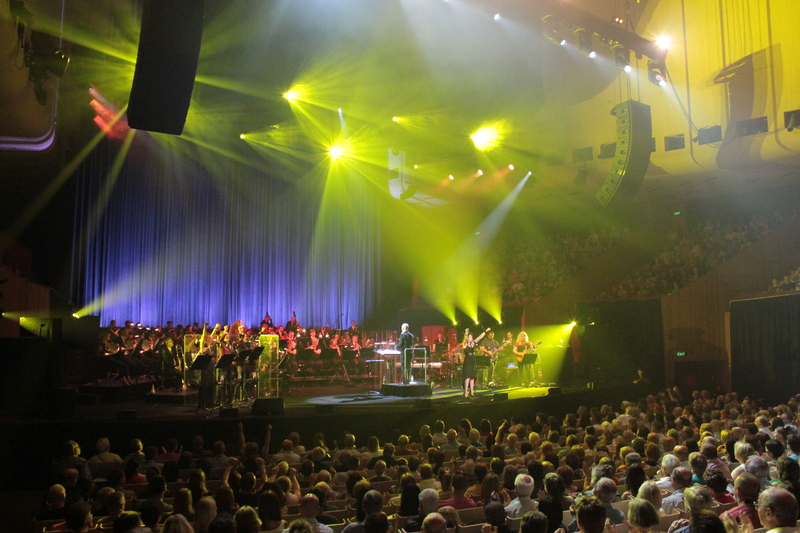 Other notable credits include major theatrical productions of Jesus Christ Superstar, Grease – The Arena Spectacular, Shout, Hair, Footloose and TV shows such as the Gold Telethon (2015), Young Talent Time Grand Final (2014), NSW Schools Spectacular (2005), Strictly Dancing, Have A Go and The Midday Show (1990-92). 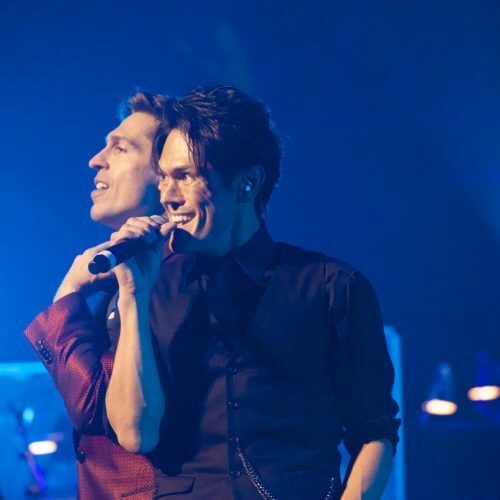 Between 2003-2009, Mark was the resident bassist and one of the music arrangers for the popular TV series, Australian Idol. 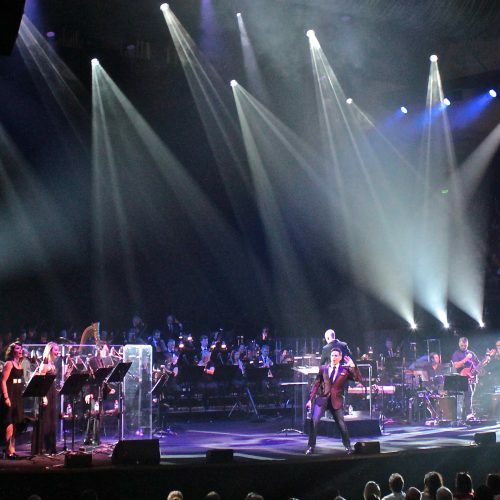 Mark’s musical arrangement credits include The Voice (2012), Carols by Candlelight, NSW Schools Spectacular (2005 & 2006), Dusty – The Musical, Oh What A Night, Priscilla – Queen Of The Desert, Brisbane School Spectacular (2006) and Rotary International. In August 2010, Mark released his debut CD, TEXTURES featuring eight of his original compositions and a stellar jazz-fusion ensemble. This recording was the Featured Album on the ABC Jazz radio network during November that year and still continues to receive regular airplay. 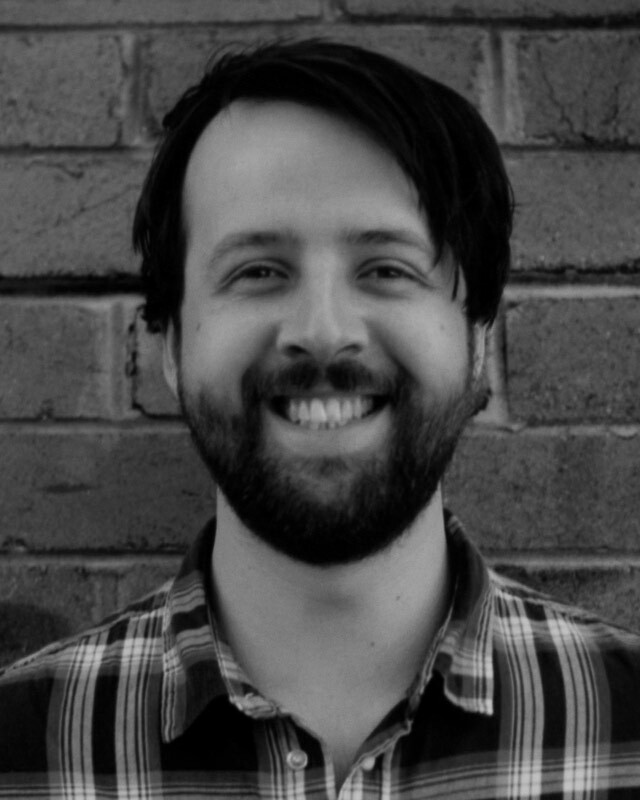 Mark holds a MMus in Composition and is currently a PhD candidate in Composition at the Sydney Conservatorium Of Music. Mark is also an online instructor for the Berklee College of Music in Boston, USA and has lectured in most of the major universities across Sydney including the Sydney Conservatorium of Music and the Australian Institute of Music. 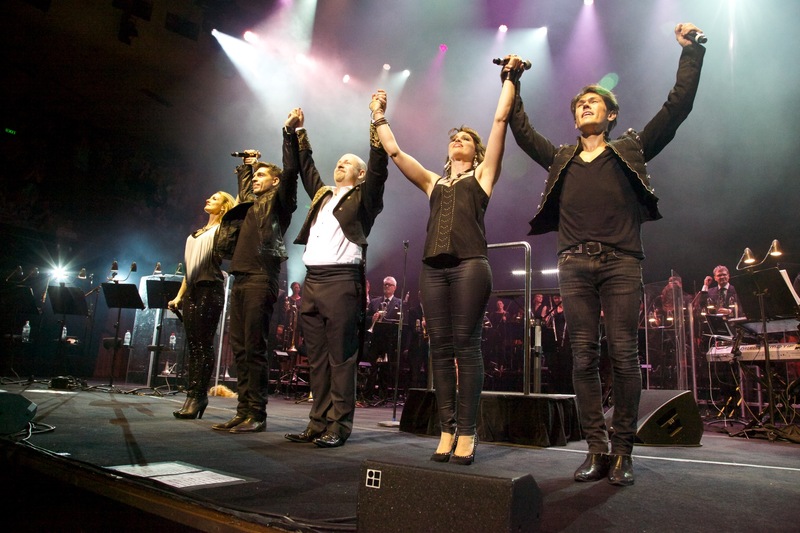 Simon returns THE MUSIC OF QUEEN after completing the 2016 Australian tour of WE WILL ROCK YOU and a preceding eight-month stint with the WE WILL ROCK YOU “Anthem Of the Seas” Royal Caribbean production, performing with an International cast and band where he was the featured guitarist. 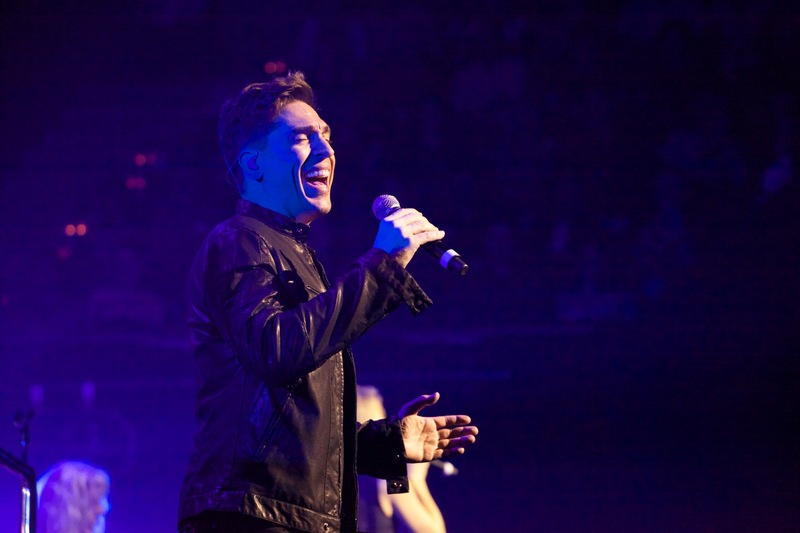 Prior to that in 2013 Simon toured with the WE WILL ROCK YOU European Arena touring company as well as two hugely successful WE WILL ROCK YOU tours of the UK and Denmark in 2009 and 2011. At the conclusion of the 2009 UK tour Simon performed live on television with Brian May and Roger Taylor from Queen on Dublin’s very popular “The Late Late Show”. In 2003 Simon successfully auditioned for Brian May and Roger Taylor from Queen for the Original Australian Production of WE WILL ROCK YOU. Simon then went on to tour with this Production from 2003-2006. Which took in Australia and then Japan on two occasions. This led to him being asked to return to Japan in 2007 to hold guitar clinics in conjunction with the official launch of the Brian May model guitar in Tokyo. 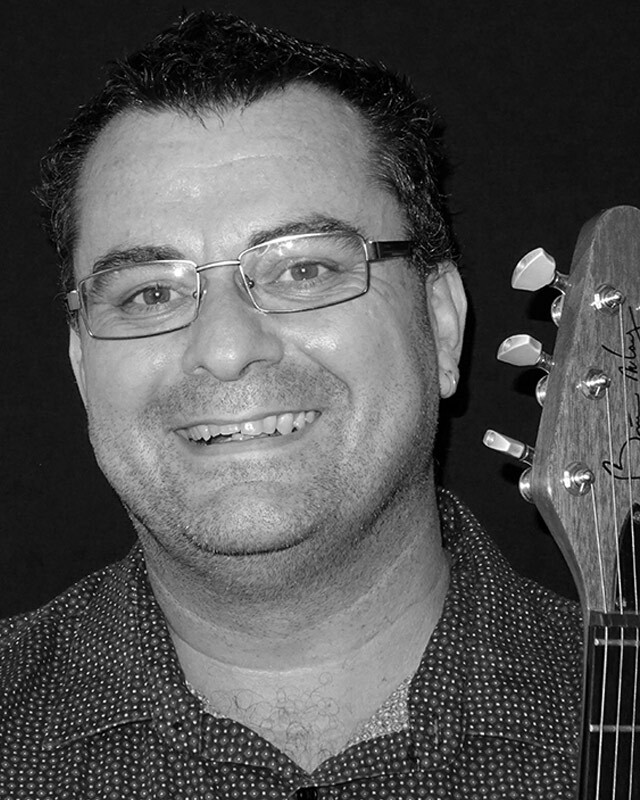 Simon is also an extremely busy guitar teacher, session player and gigging musician and can seen playing every week around Melbourne in one of his five bands! A guitar instructional package was released in 2008 featuring Simon called “Simply Electric Guitar” and has sold more than 50,000 units Worldwide. 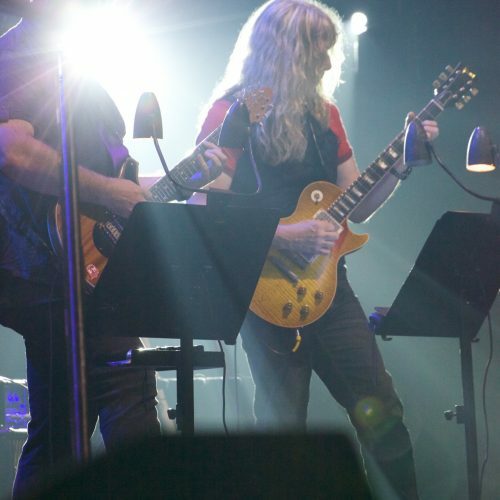 Simon was the featured guitarist with a project called “Queen Rocks” with Orchestra Victoria at the Crown Casino in Melbourne in 2007. When told about these shows Brian May is quoted saying “the Bohemian Rhapsody guitar solo could not be in safer hands than Simon Croft”. 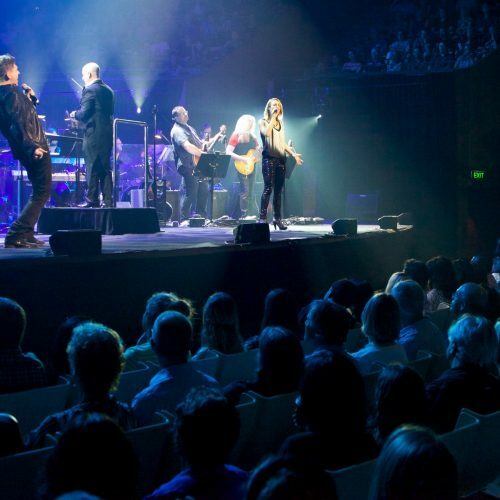 Simon previously played with the Australian premiere production The Music of Queen with the Sydney Symphony Orchestra at the Sydney Opera House in 2014 and then went on to performances in Perth. 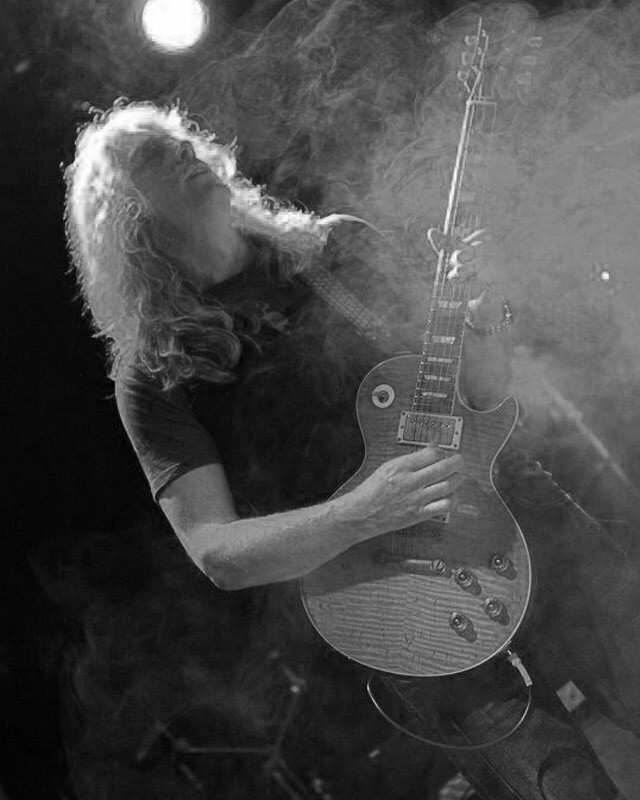 Simon is endorsed by, Ulbrick Sound custom guitar amplifiers, Live Line (The Sound of Perfection) guitar straps & Stage cables & also most Recently, Dunlop Guitar Strings and Picks’. Winner of the 2011 ‘Young Australian Jazz Artist of the Year’ (Australian Jazz ‘Bell’ Awards) and the 2011 ‘Jazz Work of the Year’ (APRA/AMC Art Music Awards), Johannes Luebbers has emerged as one of Australia’s most interesting young composers. Graduating from the West Australian Academy of Performing Arts (WAAPA) in 2006, Johannes studied arranging with Graeme Lyall, piano with Graham Wood and Tom O’Halloran and was awarded the ‘Bob Wylie Scholarship’ for the most outstanding graduate. Throughout his career he has been the recipient of numerous other awards including the 2009 ‘Youth Arts West Australian Citizen of the Year’, 2009 ‘Best Australian Jazz Composition of the Year’ (Bell Awards), 2008 ‘Jazz Song of the Year’ (WA Music Industry Awards) and the 2006 ‘APRA Professional Development Award’ for jazz. He has also released two albums with his own award winning ensemble, the Johannes Luebbers Dectet (JLD). 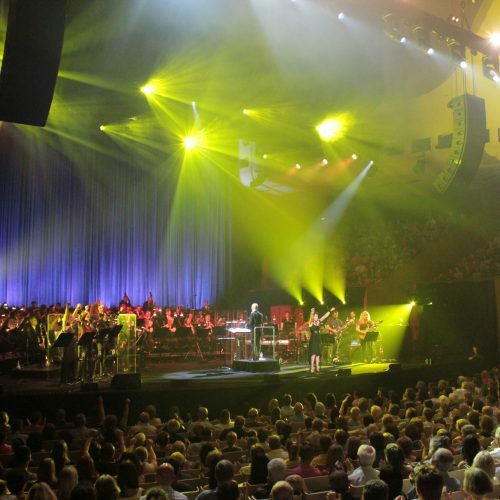 In addition to his work with the JLD, Johannes has written music for the Tasmanian Symphony (with Kate Miller-Heidke and Missy Higgins), Orchestra Victoria (with Sinead O’Connor and Dan Sultan), the WA Symphony Orchestra (The Panics and Jay Laga’aia), the Australian Rock Symphony (with the Baby Animals and The Divinyls), the Logie Awards, Mark Vincent (2009 Australia’s Got Talent winner), the WA Youth Orchestra, the WA Youth Jazz Orchestra and ’Decibel’ new music ensemble. 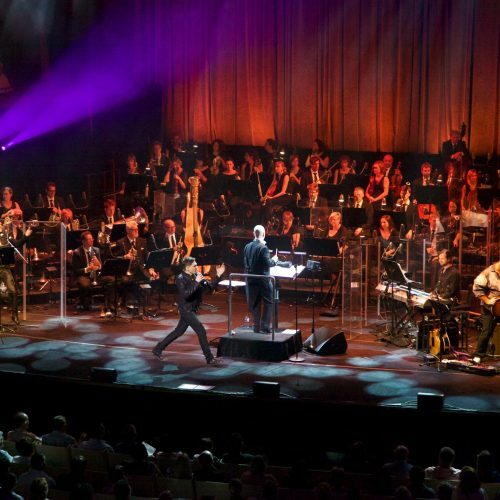 He has also performed his original work at the Wangaratta Jazz Festival, the York Jazz Festival and was a featured performer at the 2011 APRA/AMC Art Music Awards. 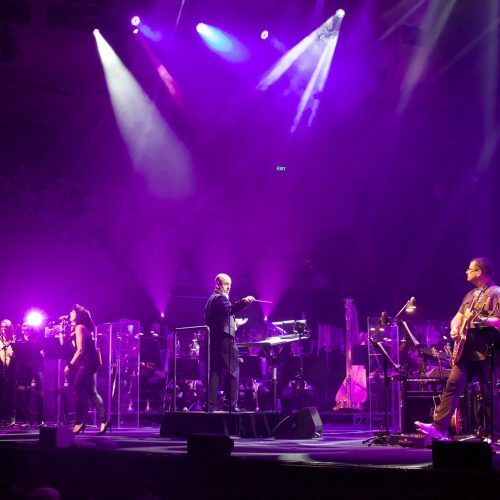 In 2012 Johannes composed the music for new music theatre production ‘Melba’, which will have its professional premiere at the Hayes Theatre in Sydney 2017. Johannes is a lecturer in jazz and popular music at the Sir Zelman Cowen School of Music, at Monash University in Melbourne. 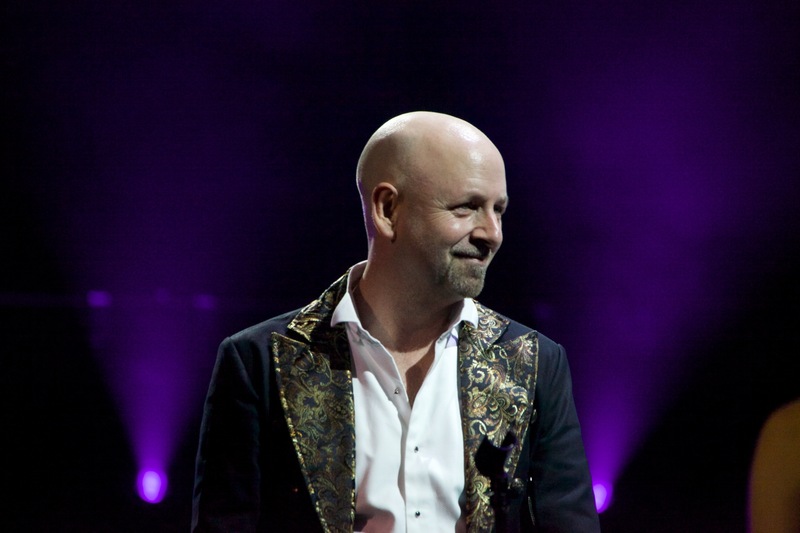 Andrew Swann’s association with Queen began in 2003 when he was hand-picked by Roger Taylor and Brian May to play drums for the original production of We Will Rock You in Australia and Japan where he went on to perform in over 1000 shows. Swann’s music career began as a session freelance drummer working in Australia and internationally with many well-known artists, culminating in 2005 with the release of his first solo album “The Braves”, an all-original country/jazz brew, Swann wrote, produced, engineered and laid down vocals, drums, guitars, piano and harps in his home studio. “The Braves” was nominated for 2006 Album of the year in the USA Independent Music Awards with reviewers stating, “Sitting between Tony Joe White, Tom Waits or perhaps Steve Earl, Randy Newman, Dr John. Swann’s music contains an authenticity only a true believer can deliver” Drum Media and “**** A startling talent”, Melbourne Herald Sun. Brian May chipped in with a personal note, “Swanny you rock, Dig The Braves”. Over the past 20 years Swann has performed his eclectic mix of blues and jazz in the USA, Australia, Japan, China, UK and at many of Europe’s music festivals including Germany, Switzerland, Netherlands, Finland, Denmark and Sweden. Swann lives in NYC and is touring his latest release “11th street shakedown” in the US and Europe this summer. © 2016 Asia Theatricals Pty Ltd. All rights reserved.